Saddleseat pants drag the ground when one is off the horse. Elastic straps gather the extra and keep it off the ground. Colorful elastic straps add a note of perky. 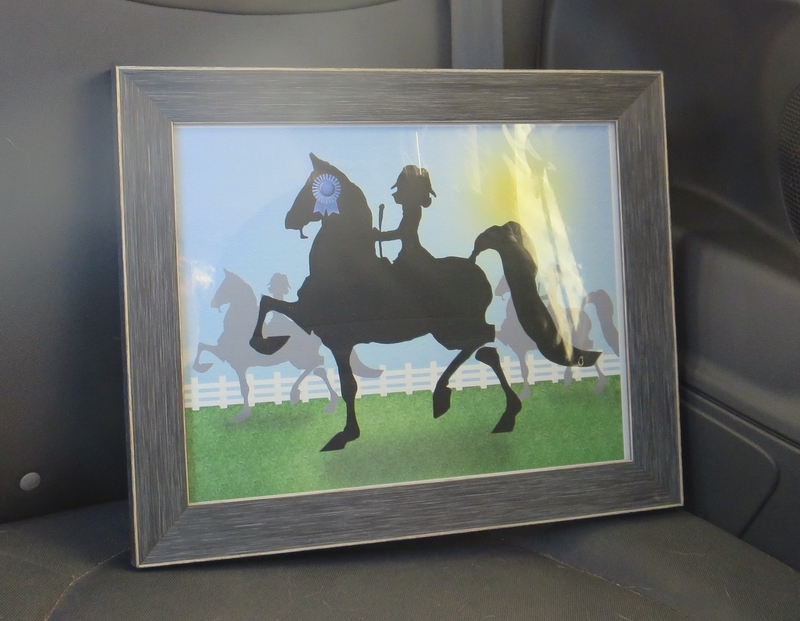 It’s a framed print of Dana’s Doodles Saddlebred Horse Victory. Drinking and bidding do not mix. Aw, you just really wanted it!